Michelle is Riverbank's new CEO, having worked for several years as one of our Community Outreach Workers based in schools. Previous to this role she was teaching in Richmond and before that in Croydon. Michelle studied in Canterbury where she met her husband Tom and subsequently specialised in Special Educational Needs and Early Years Education. Michelle was a teacher governor at her last school and PE Coordinator. Michelle has always enjoyed watching and playing sport – which is handy really when she has a football coach for a husband! 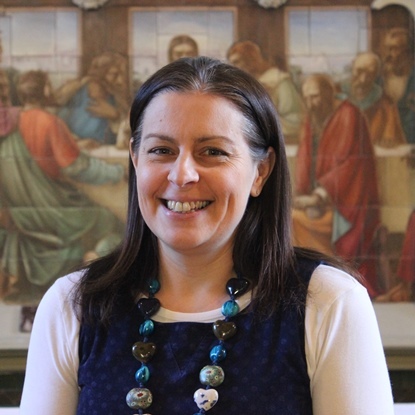 Michelle decided to join Riverbank because she has a great passion for working with children and their families and finds it a real privilege to be able to share God's love with others and work with the wider Riverbank family. Her heart for Riverbank's ministry will lead our ministry in the months and years to come.